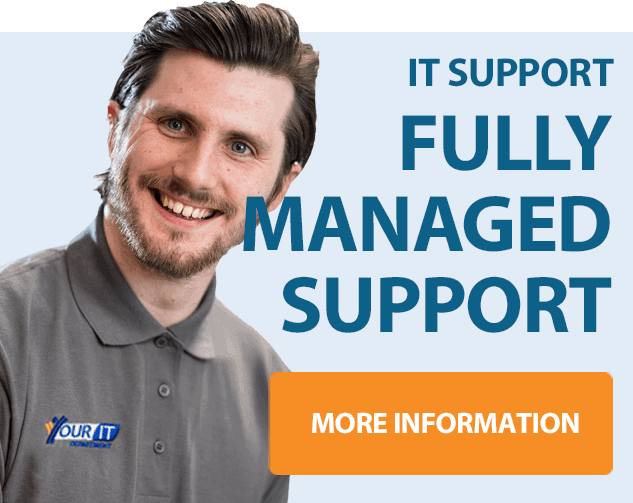 Your IT include managed IT security as part of all fully managed IT Support packages. Whilst other providers often charge extra for anti-virus and email filtering, we include it in the per user cost as standard. We also provide our backup solution as part of Managed IT Support solution. That’s because we believe security is an essential part of managing a business’s IT – not an add-on designed to increase profit. Inclusive managed IT security is also a part of becoming your one stop shop for all things IT. We manage subscriptions, licenses and renewals. It’s another thing you don’t need to worry about. We utilise award winning solutions, ensuring the quality of your IT security solution is the very best it can be. Webroot SecureAnywhere is the current Editors Choice of PC Mag, won ChannelPro Network’s 2017 Readers’ Choice Award for Best Endpoint Security and won the Overall Network Security Solution of the Year in the 2017 CyberSecurity Breakthrough Awards. Where many anti-virus solutions use significant system resources Webroot is a lightweight solution, minimising impact on system performance and is up to 60x faster than rival products. Webroot also includes identify theft protection, protecting usernames, account numbers and personal information; secure browsing with real-time anti-phishing and uses cloud-based architecture to constantly update definitions without the need for large downloads. Your IT utilise Barracuda email filtering solutions as standard. Barracuda are a multi-award winning, global IT security solutions provider. It numbers Samsung, Boeing, Shell, Pioneer and Hyundai amongst its customer base. Most cyber-attacks start with a targeted email leading to significant financial damage and data loss. Barracuda protects all aspects of your email infrastructure to protect users, data and your brand. Even for businesses using Office 365 we would recommend additional email filtering. Basic built-in Office 365 email protection focuses on spam and viruses; it can’t detect or stop zero-day attacks, phishing attempts, and sophisticated malware threats. Barracuda Essentials uses the Cloud to place a protective barrier and secure “sandboxes” between the user’s Office 365 environment and any email attachment or link that is deemed to be suspicious. Barracuda Backup makes it easier and more cost-effective than ever for you to protect all your data from cybercriminals, natural disasters, hardware failures, and more. Physical, virtual, cloud, and SaaS — a single, integrated solution keeps all your data safe. All of our Managed IT Support clients are offered the first 250GB of off-site storage as part of their package, with more available at low cost. Barracuda Backup is a comprehensive, flexible and efficient solution designed to achieve your disaster recovery needs. The Barracuda Backup utilises an aggressive combination of symmetrical and asymmetrical encryption. The United States government recently approved 192-bit AES encryption as the preferred method for protecting top secret information. The Barracuda Backup starts with the even more secure 256-bit AES encryption level. With a number of options for data recovery Barracuda Backup from Your IT offers a robust, flexible and affordable backup solution.